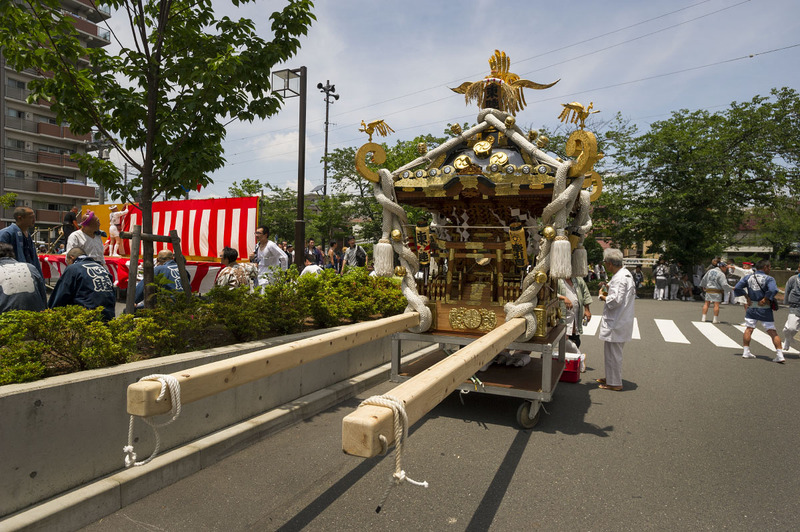 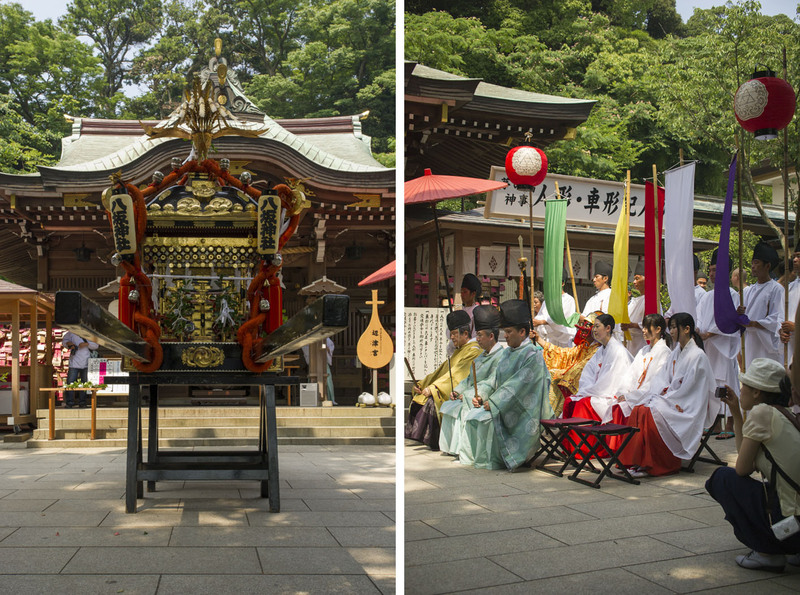 If you have been to Japan, or indeed just following my blog, you will be familiar with the massive portable shrines (omikoshi) used during festivals all over the country. 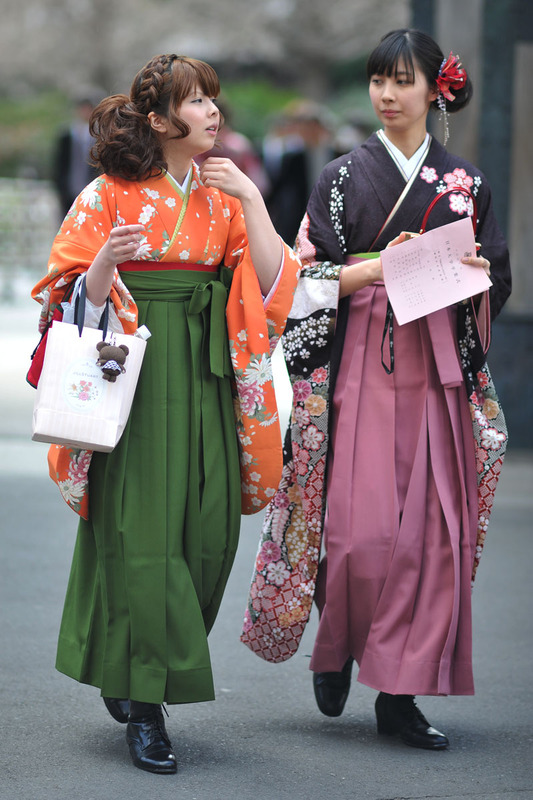 You might have noticed that there are a few different kinds of them, despite all sharing a common structure there are regional as well as functional differences. 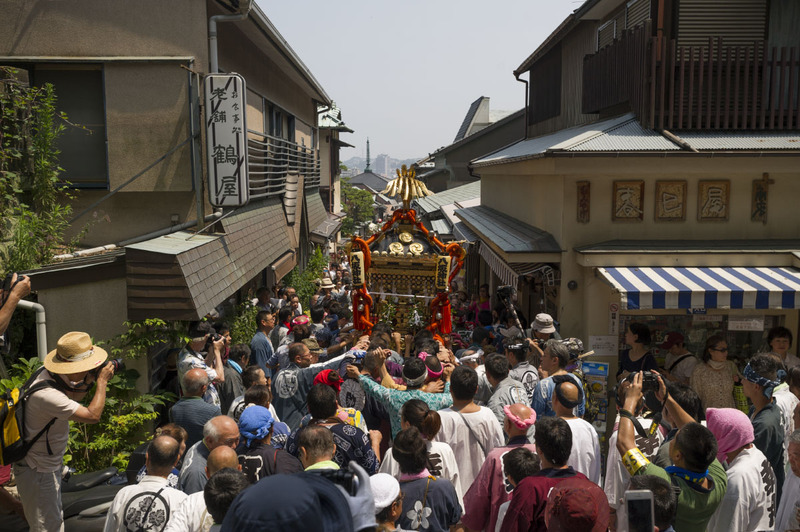 One good place to observe this was at the annual Isezakicho omikoshi parade in Yokohama City, in Kanagawa Prefecture to the south west of Tokyo. 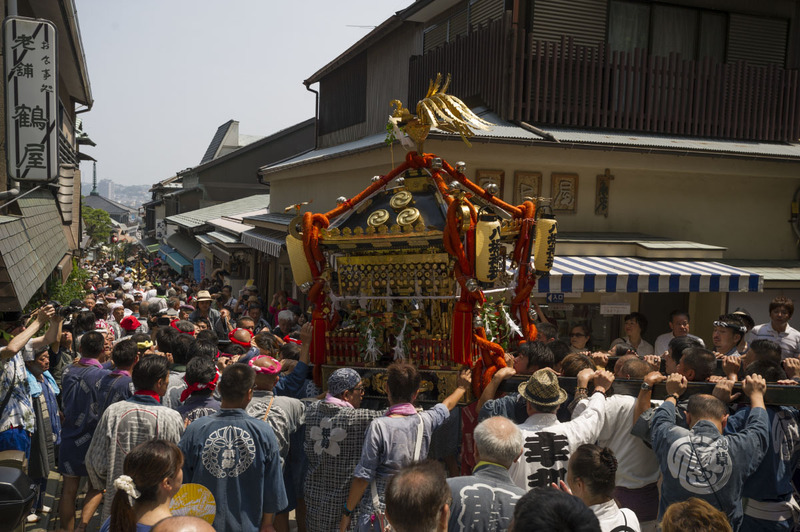 There were a total of 18 different omikoshi at the parade, all pulled from different shrines in the area, showing both of the most common variants of omikoshi, the Nitenbo and the Yontenbo. 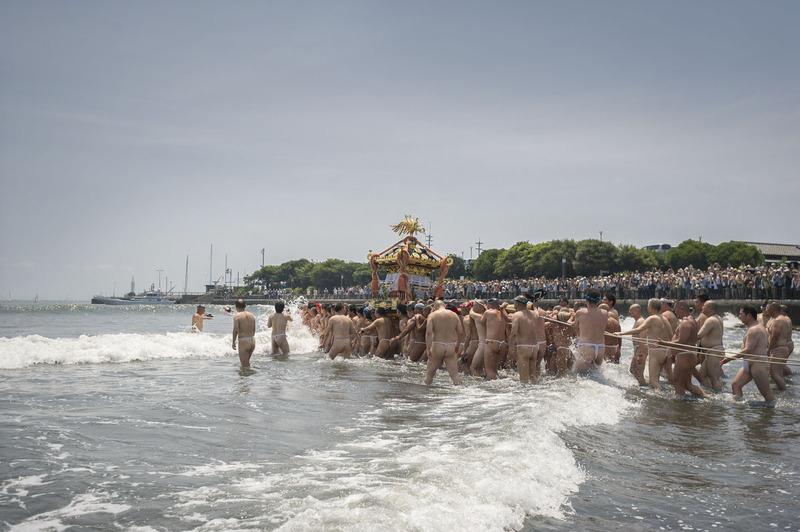 Ni and Yon are figures, denoting the number of poles that the omikoshi is carried with. 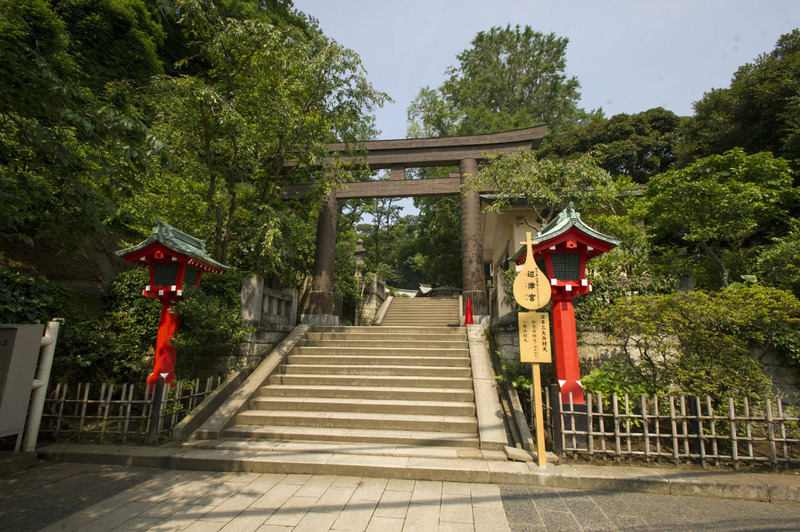 The one most common to the south of Tokyo are the Nitenbo, with two long slender poles supporting the omikoshi. 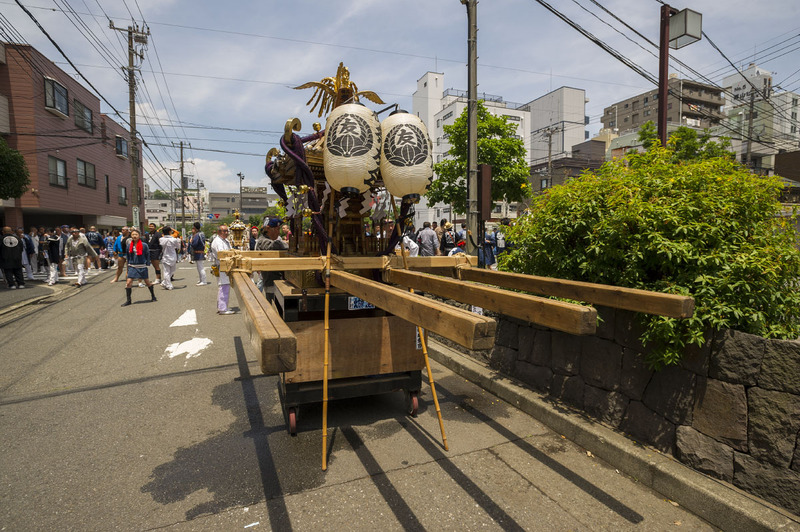 The poles are made of wood, so they tend to spring quite a bit during the rhythmic carrying, making the omikoshi almost move in sympathy! 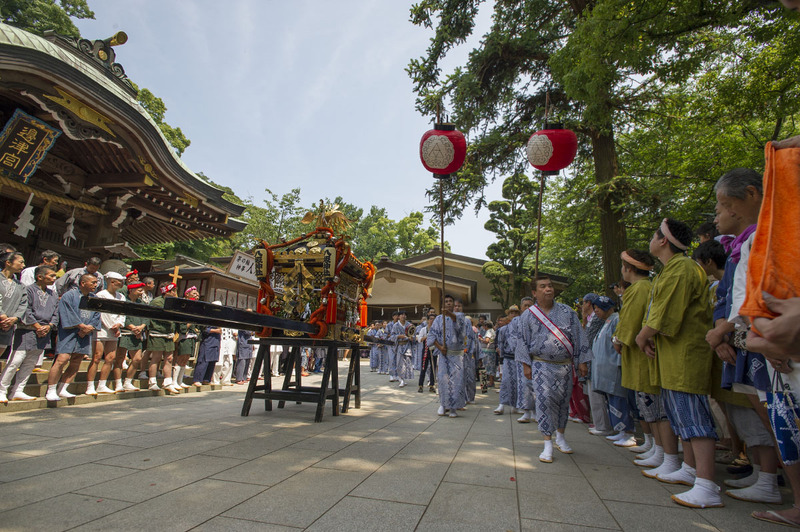 Since there are only two parallel poles, it is also easy to tip the omikoshi left and right for extra effect! 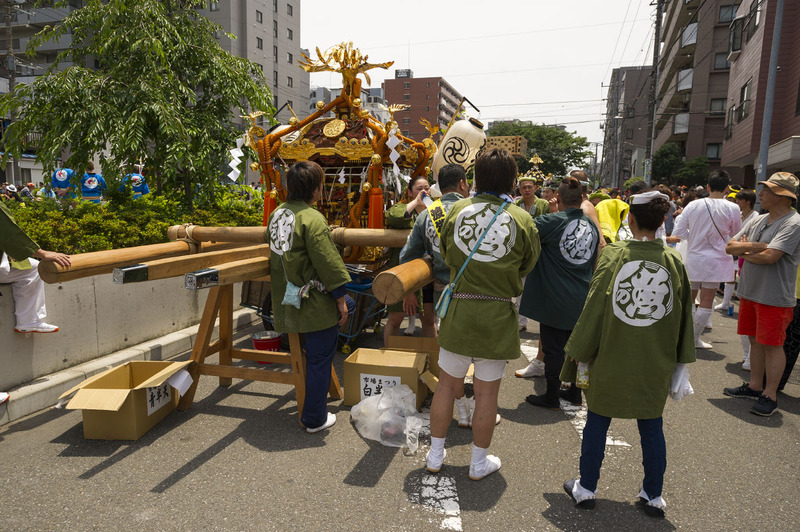 Another good thing is that these omikoshi are good at turning corners and are relatively fast moving, and very very easy assemble. 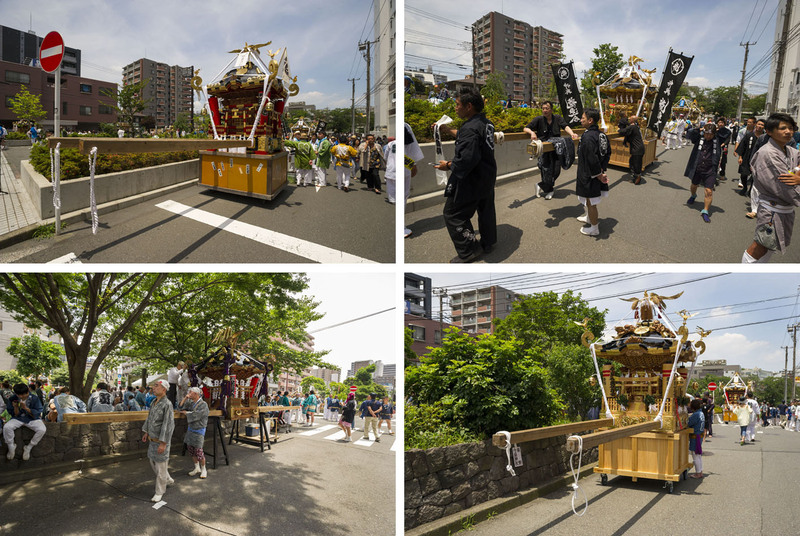 The first few photos are of these Nitenbo. 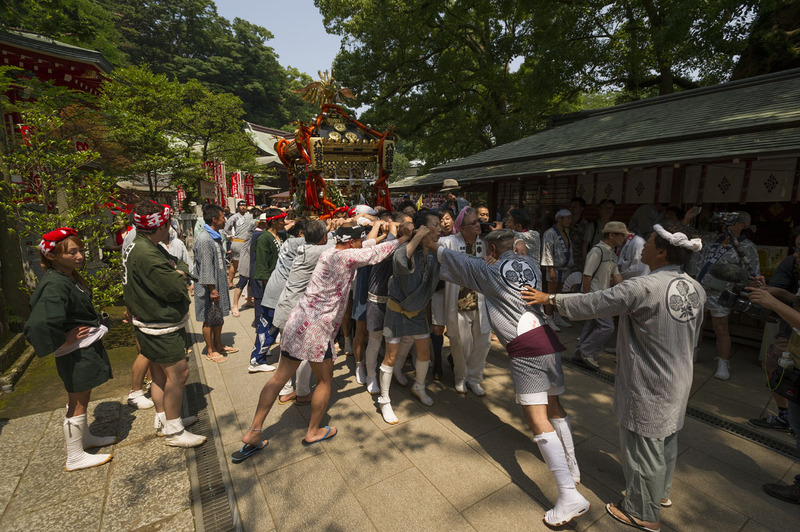 The other, and the most common variant in all of Japan, are the Yontenbo, the four pole omikoshi. 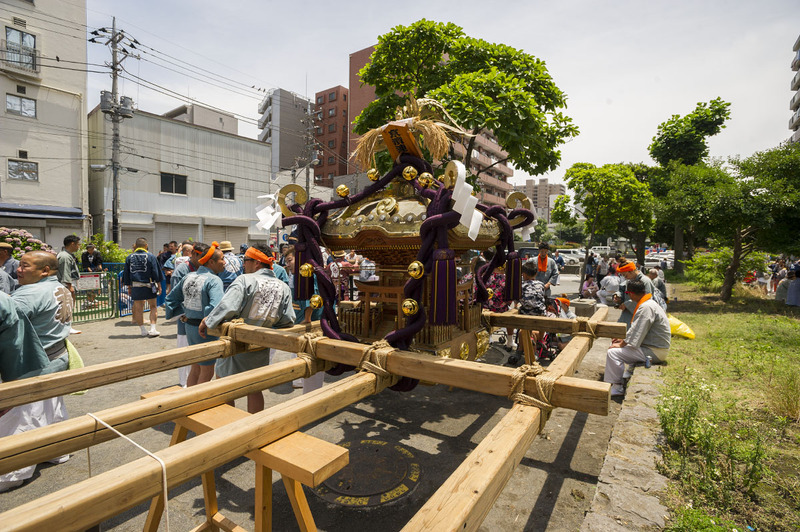 Four poles are very useful when you want more people to shoulder the burden of these omikosi which can often weigh up half a ton or more. 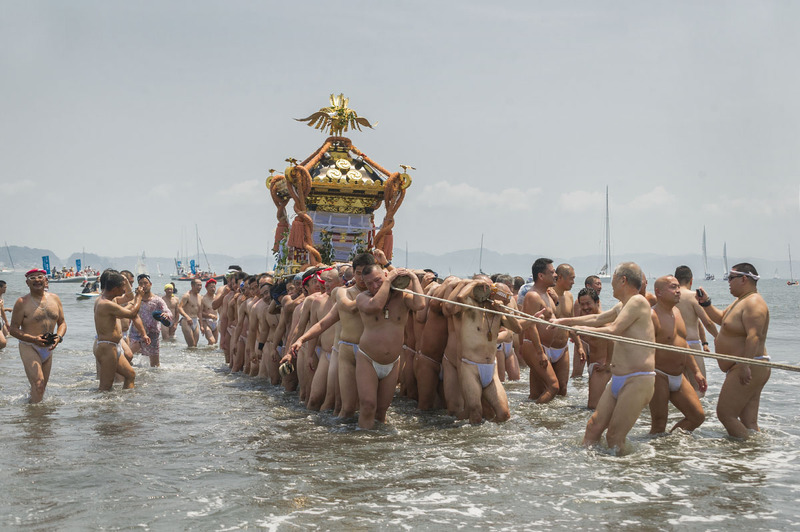 With four poles you can fit almost twice as many people underneath. 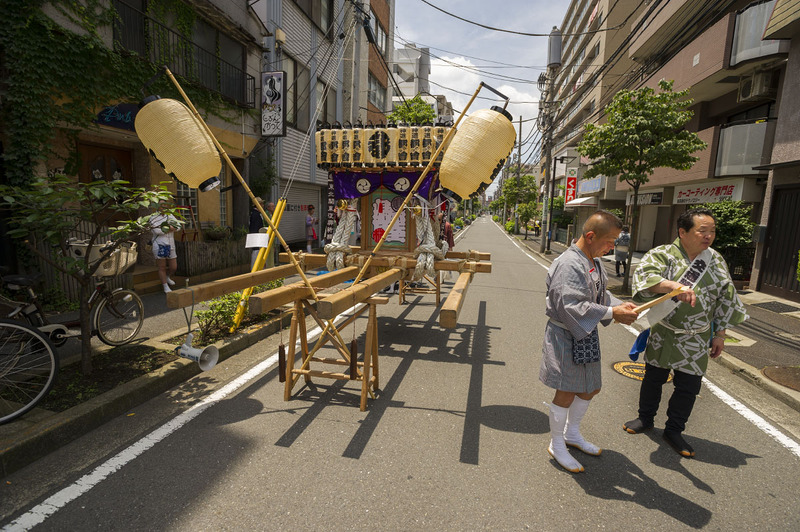 These omikoshi are slower and more difficult to maneuver, but they are very useful if you intend to go on for a very long time, usually from dawn till dusk! 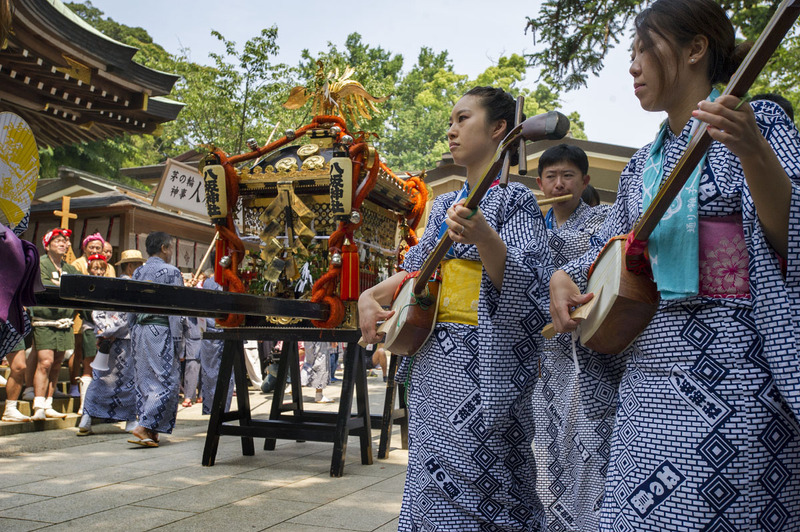 The different styles of omikoshi also have different ways of movement, and different chants associated to them. 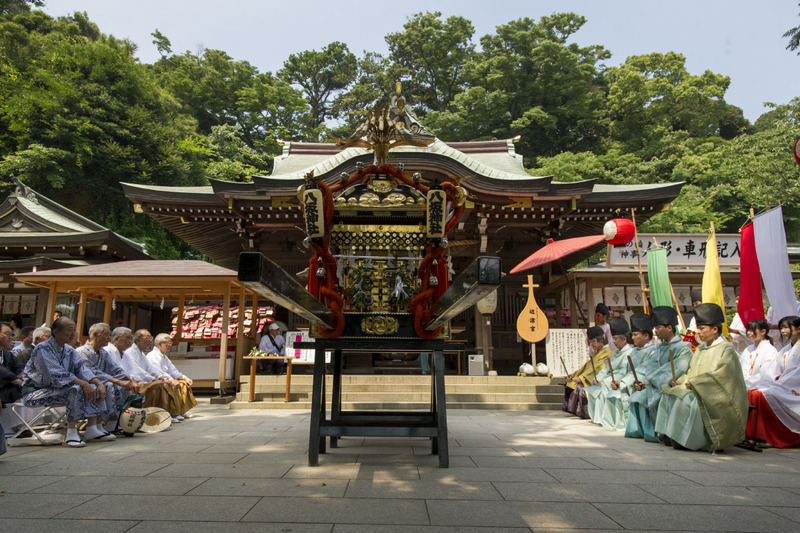 In some cases the chants are quite obvious, while in others the meaning must be lost in the mists of time, even when I ask the omikoshi leaders what they are chanting they just reply “we have no idea”. 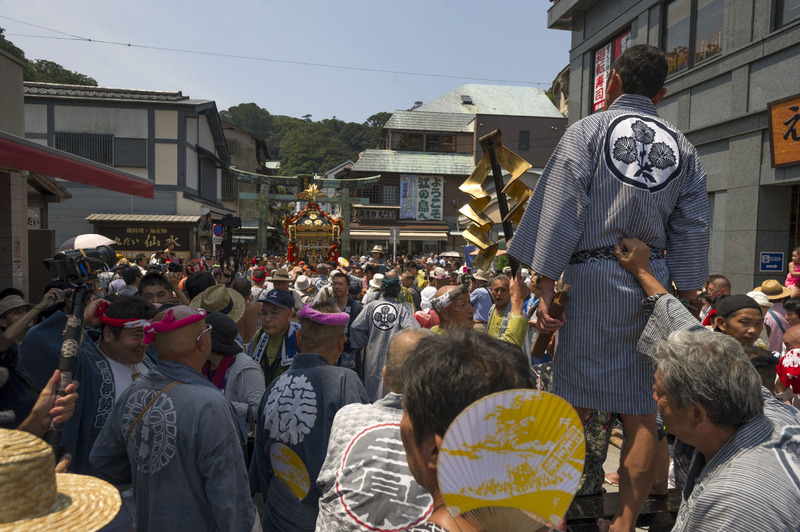 The omikoshi can be attached in many different ways. 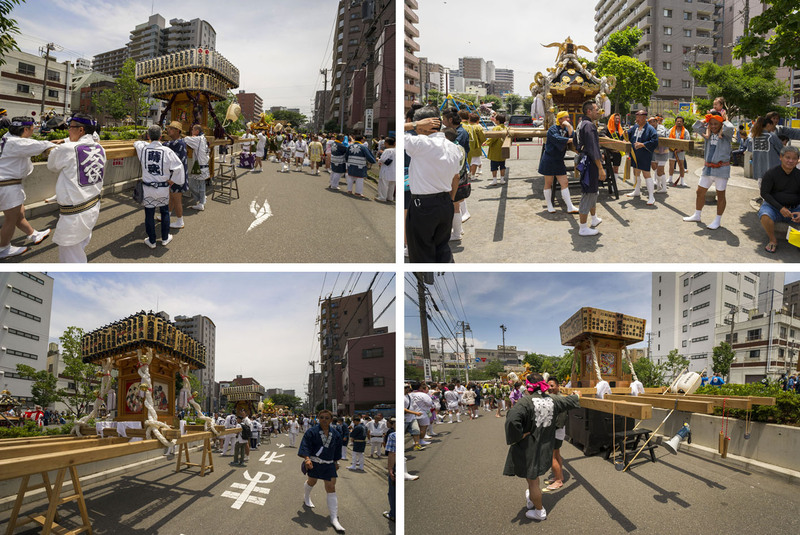 One common method for the Nitenbo is with bolts and nuts, but in this parade you can see that most of them are actually just tied down using wet rope or cloth! 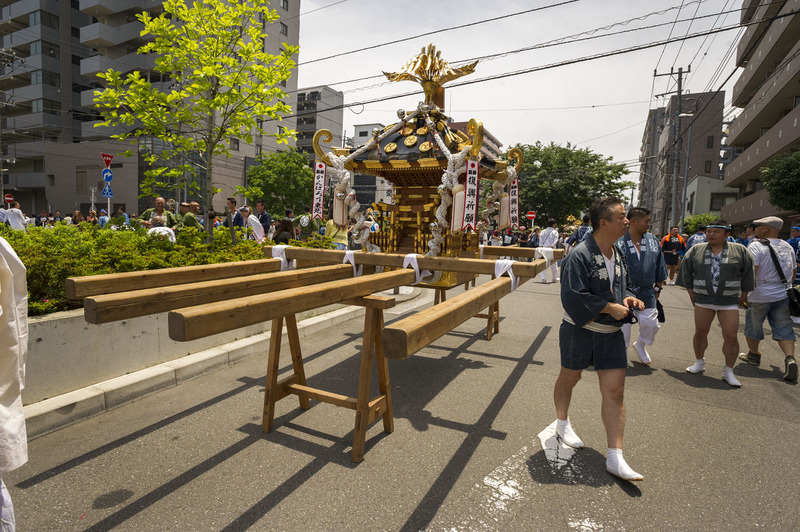 While resting the omikoshi are laid onto of stands, often wheeled, which can look very modern (this is practical, stuff, you take what you have!) 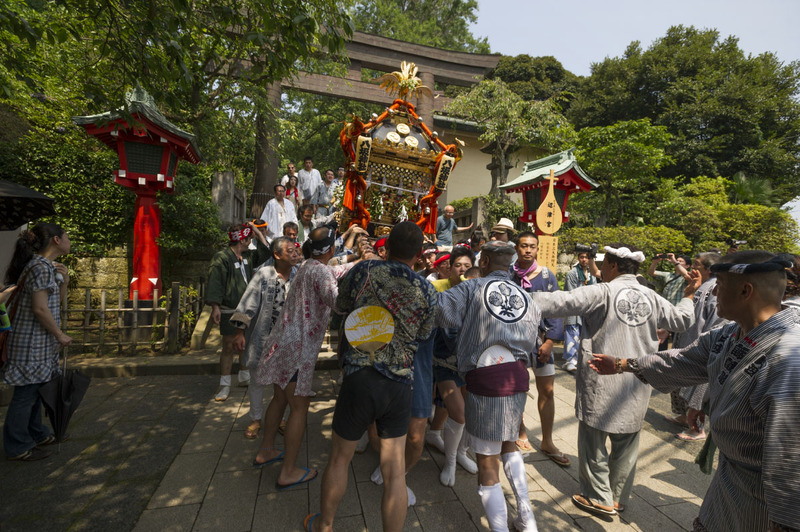 or very traditional carpenters aids, like the four legged “uma” you can see in some photos, usually two per omikoshi. 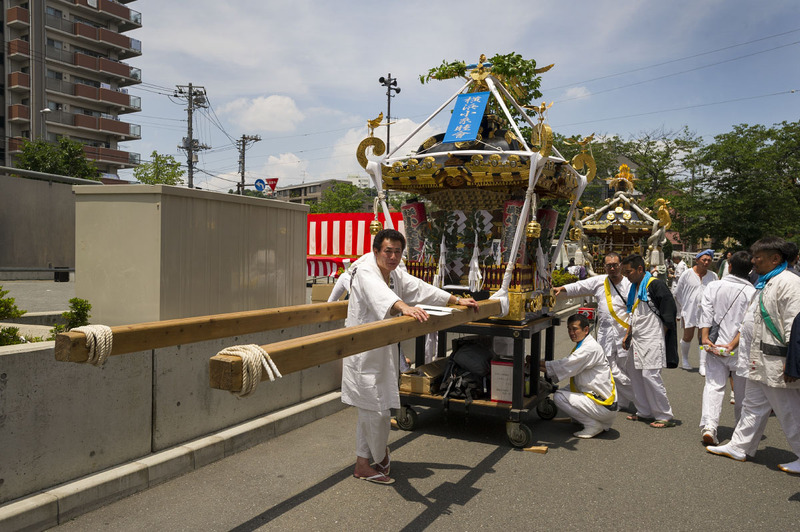 The uma are more flexible and easier to transport, while the wheeled boxes can be used to store spare parts, cold drinks, batteries or whatever the omikoshi team needs. 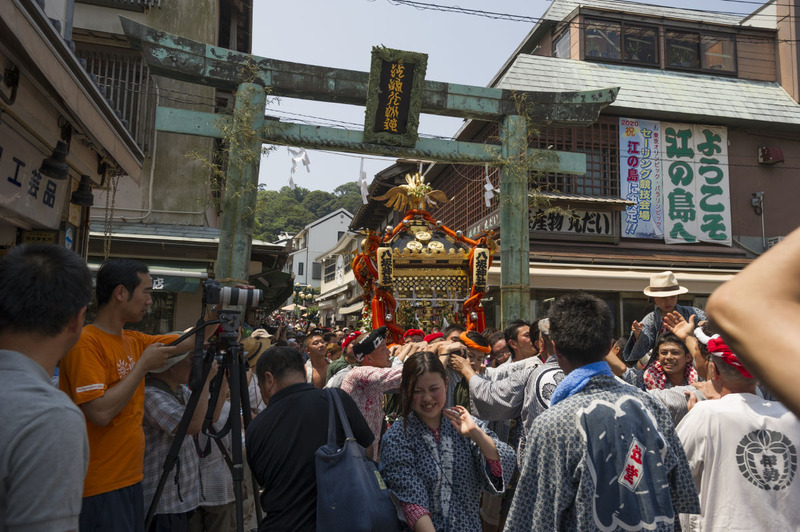 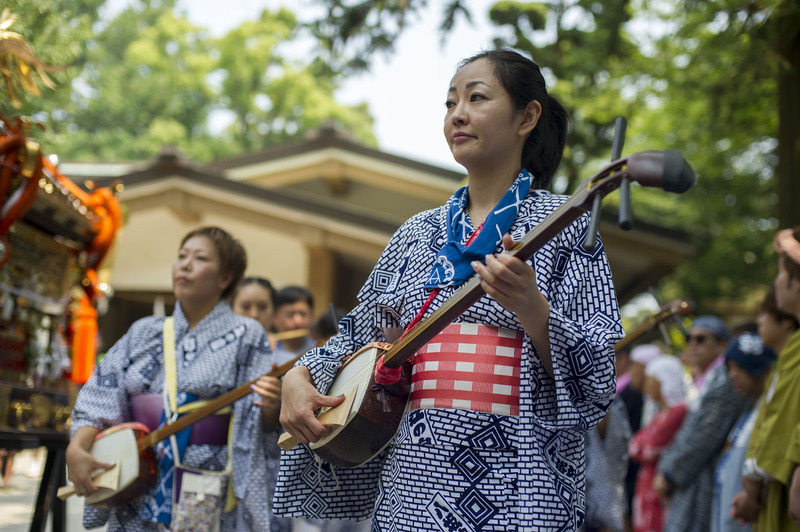 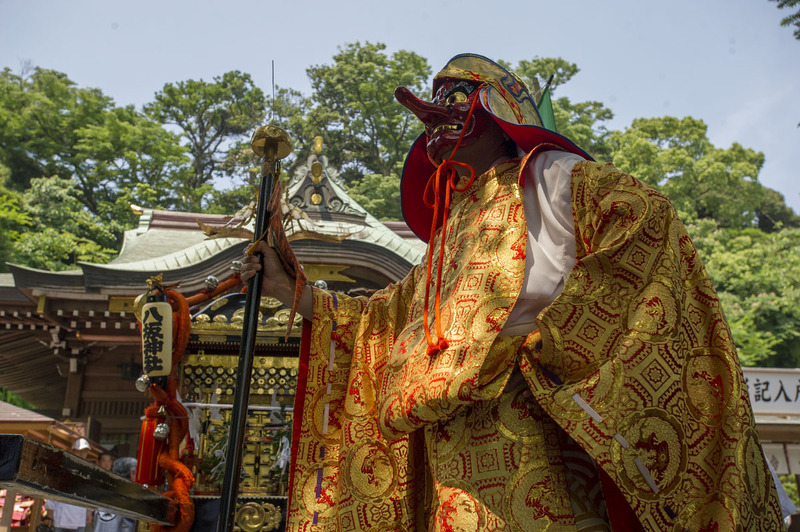 Hopefully after this post, you will be able to tell a little bit about the kind of omikoshi you run into when visiting this summer’s many festivals!